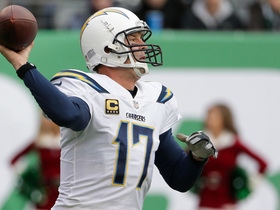 Watt played zero offensive snaps and 26 special-teams snaps Sunday in the Chargers' 41-28 loss to the Patriots in the divisional round. Watt (shoulder) is active for Sunday's divisional-round matchup with the Patriots. Analysis: Watt's status is of little surprise after he was a full participant in Friday's practice session. 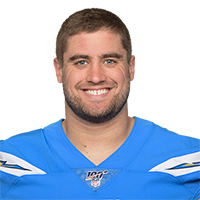 He holds little fantasy value himself, but his presence as a blocker will bode well for Melvin Gordon and Austin Ekeler. Watt (shoulder) is listed as questionable for Sunday's divisional-round playoff game against the Patriots, Sam Fortier of The Athletic reports. Analysis: Watt was a full participant in Friday's practice after having been limited Thursday and Wednesday. 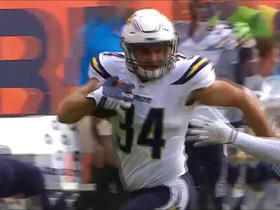 The third-year fullback isn't an asset in fantasy formats, having only logged four carries during the regular season, but Watt will help open holes for Melvin Gordon and Austin Ekeler if he's able to suit up. Watt (thumb) is active for Sunday's game versus the Rams. 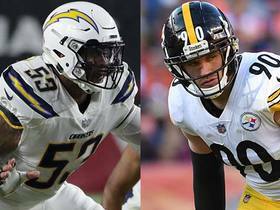 Analysis: Watt isn't a fantasy asset, with just one carry in two games, but his presence will open holes for tailbacks Melvin Gordon and Austin Ekeler. Watt (thumb) is listed as questionable for Sunday's game against the Rams. Analysis: Watt is used mainly as a blocker, so his absence wouldn't directly affect fantasy owners. However, Melvin Gordon and Austin Ekeler could both lose an edge without Watt to pave the way. Watt left Sunday's game with a thumb injury and is questionable to return. 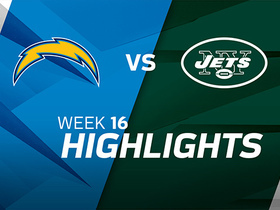 Analysis: The extent of Watt's injury is unknown, but should he not return, we will likely garner a better idea of his availability moving forward with next week's practice report. 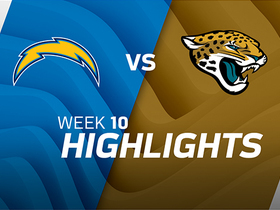 Watch as the Los Angeles Chargers take on the Jacksonville Jaguars in Week 10. 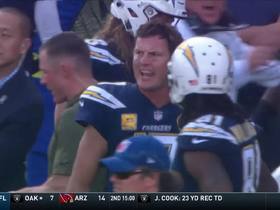 San Diego Chargers quarterback Philip Rivers finds a wide open Derek Watt, who goes for 53 yards. 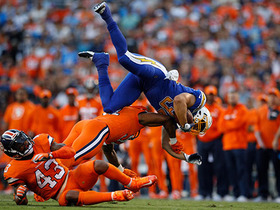 San Diego Chargers fullback Derek Watt, brother of J.J. Watt, flips while getting tackled after a catch on Thursday Night Football against the Denver Broncos. 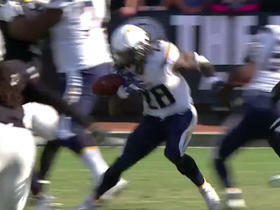 San Diego Chargers running back Melvin Gordon fumbles, Oakland Raiders safety Karl Joseph recovers.